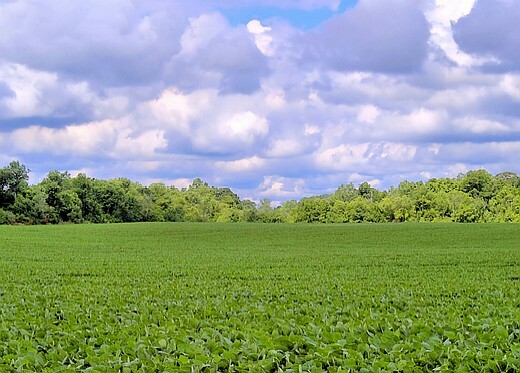 HARDIN COUNTY — With low crop prices and higher input costs, many farmers, producers and farm business owners may be faced with having to make hard financial choices to stem potential losses and lessen financial stress, said a farm business expert with the College of Food, Agricultural, and Environmental Sciences at The Ohio State University. To help farmers, producers and farm business owners who want to gain insight into improving financial management, Ohio State University Extension is offering a free, four-part webinar series on managing risk and financial management. The series, called “Ready, Set, Go: Preparing Farms to Successfully Manage Risk,” can help participants better understand their financial situation by focusing on financial statements and using them to their advantage, said Chris Bruynis, an OSU Extension educator. OSU Extension is the outreach arm of the college. The webinar will offer participants information to help them gain a better understanding of various financial statements and how to use them to make management decisions about their farm business going forward, Bruynis said. “One of the goals is to help participants get their financial affairs in order so that they can weather these times,” he said. “The information that’s being offered will be of interest to many farmers and farm families, with crop prices going down over the past two years, leaving profits well below where they’ve been in recent years. The webinars run on Nov. 16, 23, 30 and Dec. 7 from 11:30 a.m. to 1 p.m. To register for the free series, go to go.osu.edu/farmwebsurvey. Those registered by Nov. 12 will receive the login information and course material on Nov. 13 by email, Bruynis said. Participants will then view the programs from their own computer online. If someone does not have a computer or a fast enough internet connection, they can call OSU Extension Educator Mark Badertscher at 419-674-2297 to make arrangements to view the programs at the Hardin County Extension office. The webinar series will begin Nov. 16 with Farm Business Planning and Systems Management including: Is the operation large enough and profitable enough to provide family living draw? ; Is the business plan built on economic considerations? ; Is there an adequate system for obtaining management information and monitoring business performance? The second webinar will be on Nov. 23 and will focus on Introduction to Financial Statements including balance sheets, income statements, statement of cash flows, statement of owner equity, and projected cash flow budget. The third webinar will be held Nov. 30 and will include “Legal 21” financial ratios, Liquidity: what are options to correct liquidity concerns? ; Solvency: what options does a farm owner have in correcting this? ; Profitability: rate of return on farm assets — can I really affect this? ; Repayment capacity: do I have the ability to repay the loan on the next farm? ; and Financial efficiency: am I using my money to its fullest potential? The fourth and final webinar will be Dec. 7, with topics such as using financial data to drive decisions, determining risk capacity, capital improvement plan — short and long term, individual enterprise analysis to determine profitable enterprises, and decision time using case farms. A North Central Extension Risk Management Education Grant funds the webinar series, Bruynis said. For more information about the webinar, contact Bruynis at bruynis.1@osu.edu or 740-702-3200.